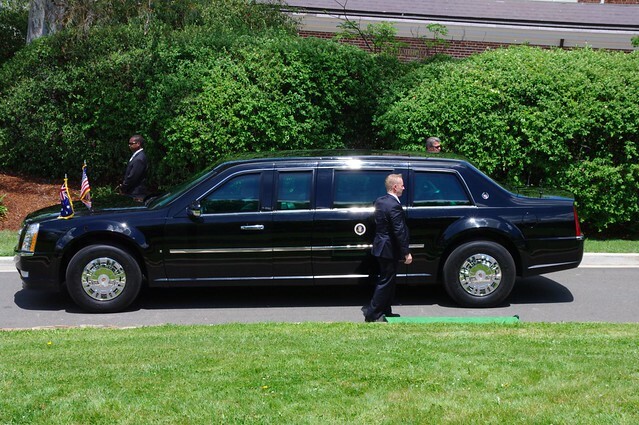 The US President travels with a huge entourage including lots of security staff and advisors. 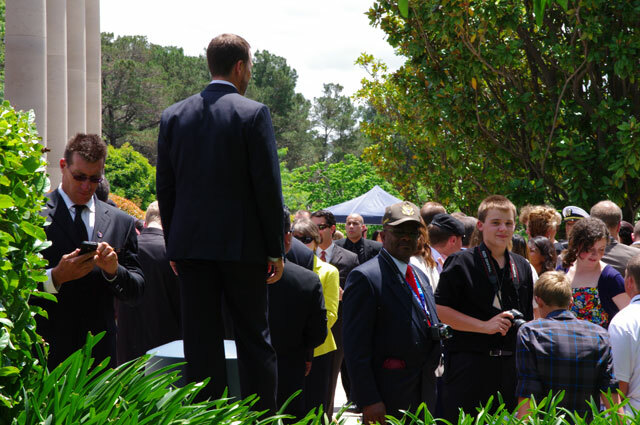 When President Obama visited Australia in late 2011 this was the case and it will be again if he visits us before his second term as President ends in late 2016. As a freelance business/technology/science journalist I wouldn’t usually have covered any of the visit. However I managed to find a story angle about security that appealed to one of my editors. 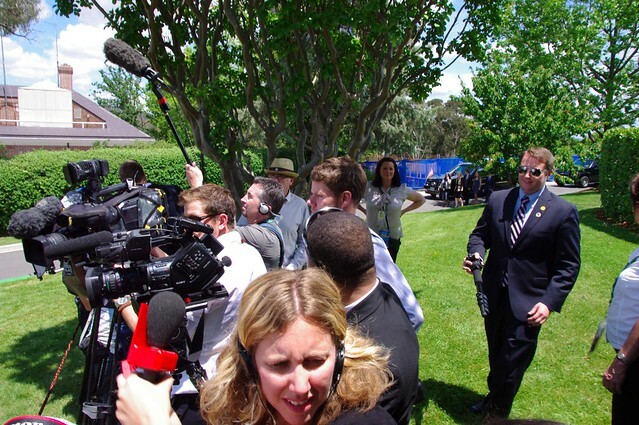 After jumping through lots of administrative hoops I was granted the necessary security clearance from the Attorney General’s Department and issued an invitation to be part of the media group covering his visit to the US Embassy in Canberra. I can see why these lengthy processes were justified because while I was taking photos I was less than 5 metres away from the world’s most heavily secured individual – the President of the United States of America, Barack Obama. A National Visits Media Card (NVMC) identifies the holder as a person certified by a registered media organisation as having a legitimate media interest in the visits of foreign dignitaries. To get an NVMC you have to pass a higher level of security clearance than routine federal government events. Applicants for a NVMC undergo identity checking by the Protective Security Risk Section in the Security Coordination Branch of the Attorney-General’s Department. The Australian Federal Police (AFP) is in charge of close personal protection, route security and other security areas for diplomats and visiting heads of state in conjunction with state/territory police. 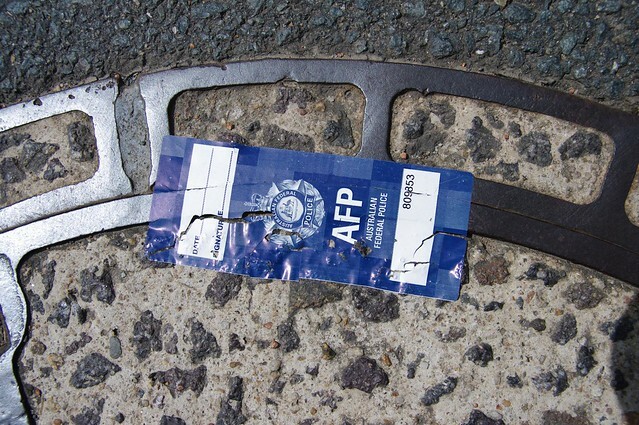 AFP officers in Canberra and Darwin secured the area along presidential routes. Several RAAF Boeing F/A-18 Hornet fighter jets, Blackhawk and other Helicopters patrolled the airspace above Canberra prior to and during President Obama’s visit. 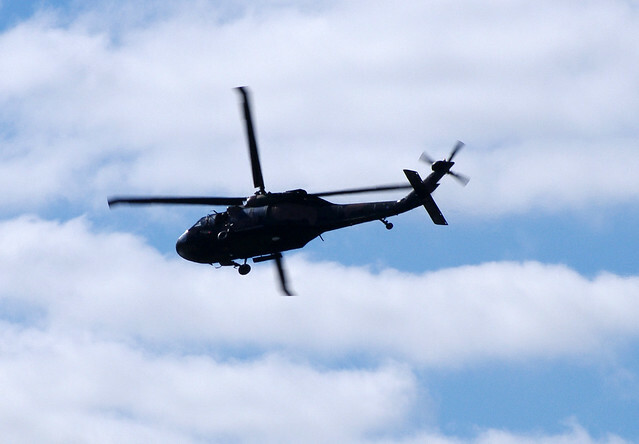 A file photo of ADF Black Hawk helicopter is below. The National Archives holds comprehensive passenger records for ship and aircraft arrivals and departures for all Australian ports from 1924 onwards. These passenger records are available to the public under the provisions of the Archives Act 1983 when they reach the open period (recently reduced from 30 to 20 years afterwards). In 1975 a young Barack Obama filled in a Sydney Airport Customs Card during a short stop over between Indonesia and the USA. Interestingly National Archives said that “passenger records are released in their entirety, no information is exempted”. Air Force One is not one specific plane but an air traffic control call sign for the US Air Force plane the US president is travelling on. However the usual Air Force One plane is one of a pair of custom Boeing 747-200B planes first used by President George H. W. Bush in 1990. These 747’s are shielded to protect electronic systems against Electro-Magnetic Pulses (EMP) such as those caused by a high altitude nuclear explosion. 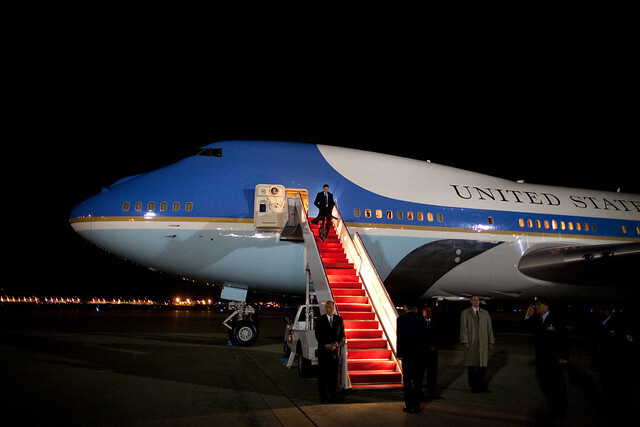 In essence Air Force one provides a mobile White House for the President including full military command centre capabilities should hostilities break out while he is in the air. Photo Credit: “Official White House Photo by Pete Souza. Used with permission”. 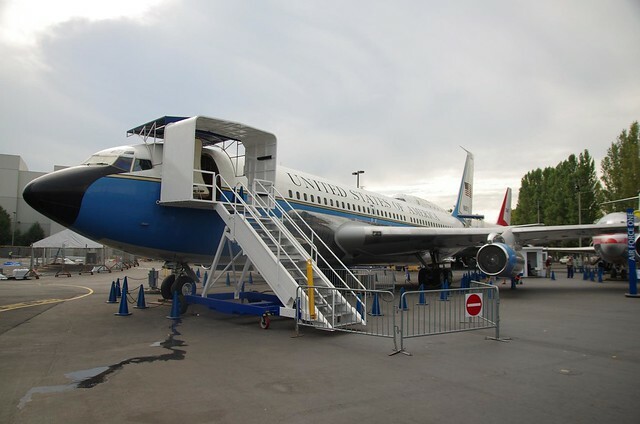 If you’re interested in seeing and walking inside an airplane used in the past as Air Force One, the Museum of Flight near Seattle has the first presidential jet plane, a specially built Boeing 707-120 on display. In it’s time on active service this plane carried presidents Eisenhower, Kennedy, Johnson and Nixon as well as VIPs such as Soviet Premier Nikita Khrushchev and Secretary of State Henry Kissinger. Marine One is the air traffic control callsign for Navy helicopters which are transporting the president to locations which cannot be accessed by Airforce One or if a motorcade would be logistically difficult. 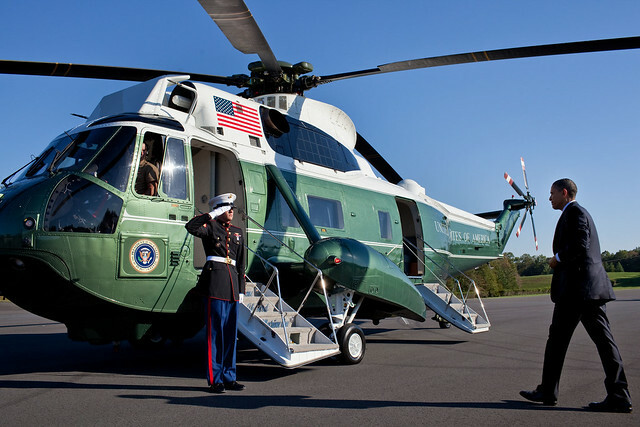 While it is believed that Marine One travels with the president on overseas trips in a cargo plane it was not made use of in during President Obama’s visit to Canberra or Darwin. 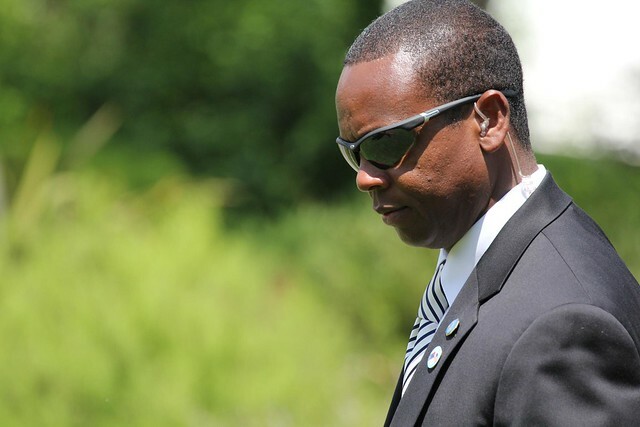 An estimated 200 secret service agents joined ACT police, the AFP and the local guard force of private security at the US Embassy to protect the President and his staff. President Obama’s codename is Renegade and yes the cliché is true, all the secret service agents I saw wore suits, sunglasses and many were wired up to get audio instructions. According to the Canberra Times the ACT government approved 35 vehicles in the Presidential motorcade. 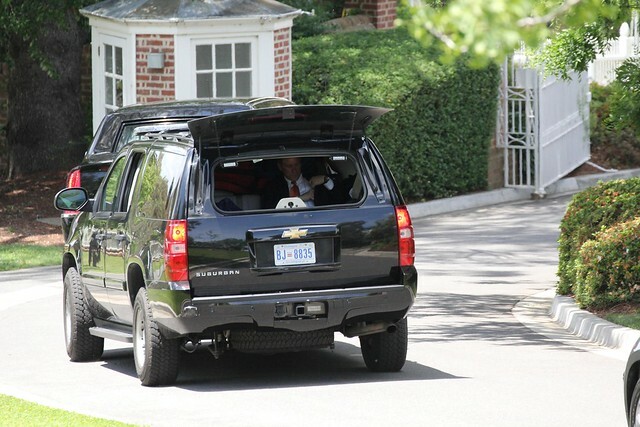 Many of the motorcade vehicles I saw were Chevrolet Suburbans with Maryland licence plates. 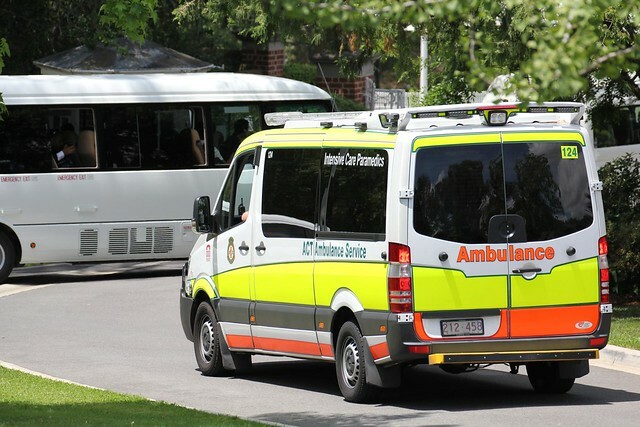 An ACT Ambulance containing Paramedics was placed at the tail end of the motorcade throughout the visit. 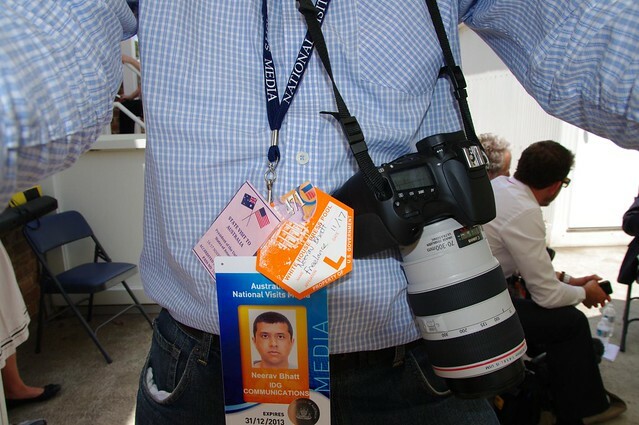 Media had to empty pockets and camera bags at another set of security gates inside the US Embassy before being scanned for dangerous items. 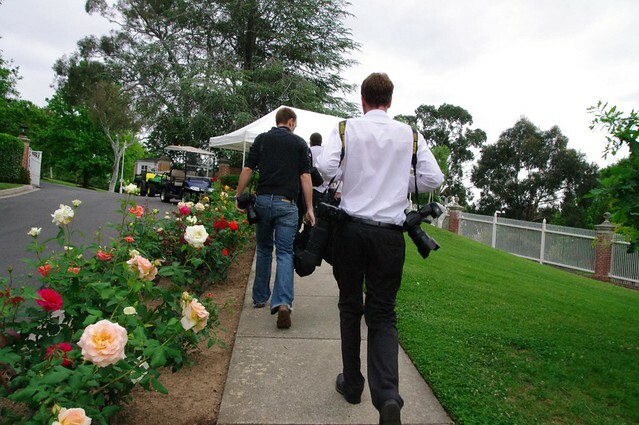 A mixture of print, photo, radio and TV media had been transported by a security cleared bus from a rendezvous point at Old Parliament House to the US Embassy. After security checks we were kept in a white plastic tent in the car park for 2 and half hours prior to President Obama’s arrival. All media photographers were required to make their way to the embassy by 7am and leave SLR cameras and lenses in this same tent for security checks before leaving the embassy only to return a few hours later. 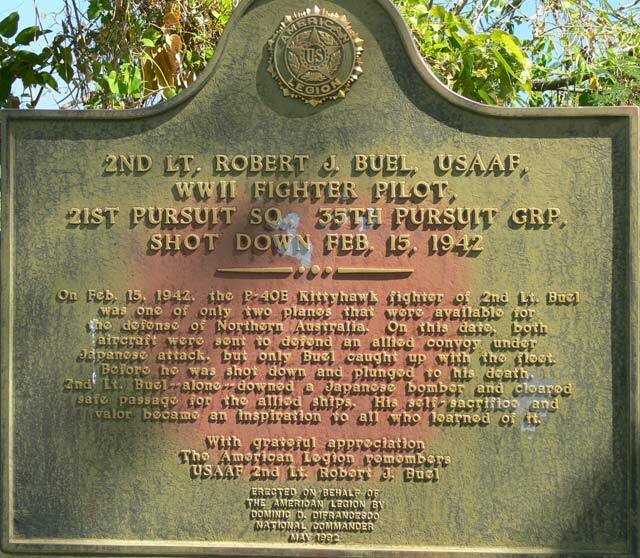 American military personnel helped to defend Northern Australia in World War II including during and after the Japanese bombing raids on Broome and Darwin. President Obama visited some US WWII memorials including the USS Peary memorial during a brief visit to Darwin while enroute from Canberra to Bali. 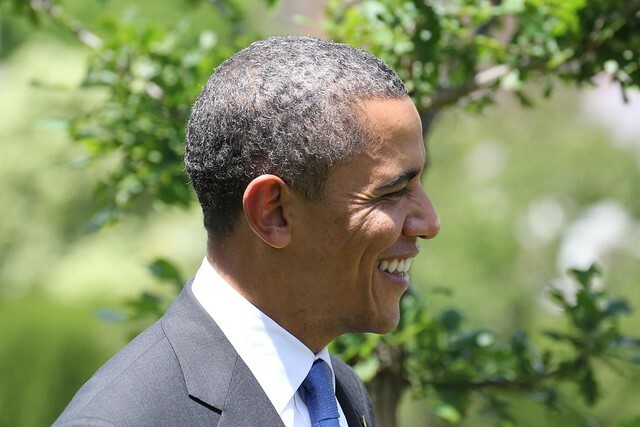 After visiting Australia President Obama flew from Darwin to Bali for the East Asia Leaders Summit which was also being attended by Chinese President Hu Jintao and Russian representatives. 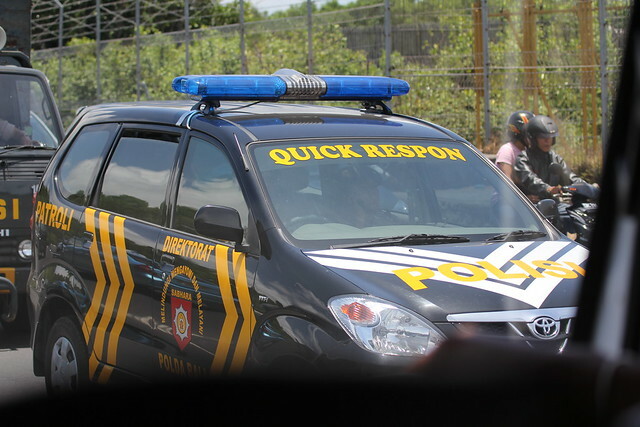 Indonesian Police were in charge of local security and arranging clearways through the packed Bali traffic.